By selecting a recognized BC Log and Timber Frame Building Industry (BC LTBIA) member for your project, you put years of professionalism, dedication and quality craftsmanship in your corner. From the First Nation’s Totem to the Long House of the Coastal People, we’re proud to support BC’s rich wood culture. Esteemed builders from throughout the world have migrated to BC over for the past two centuries, and have cultivated a tradition of quality craftsmanship. British Columbia is home to a vast array of coastal, high-elevation, and valley floor forests, giving us a unique selection of prime building timber. Species including Fir, Cedar, Pine and Spruce are all readily available to our builders. Forests create regenerative organic material which coupled with the provincial government’s replanting programs allows our builders to use lumber with limited environmental impact. It also ensures future generations will be able to use and enjoy this prized resource. Our seasoned builders understand that no two logs are alike. From coastal timber, to high-elevation Douglas Fir, to reclaimed beams, they know the characteristics of each type, and always use the highest quality materials – no matter the project. 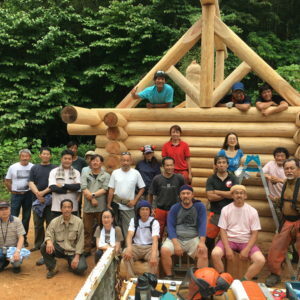 Our seasoned Log Builders and Timber Framers all share one thing in common: a true passion and dedication to their craft. They have recognized the benefits of integrating computer-cutting technology with traditional methods, and continue to embrace new technologies moving forward. 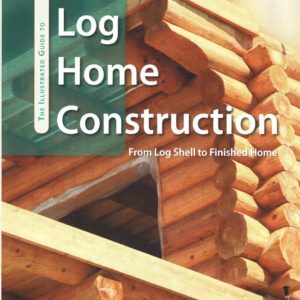 A relationship with a member of the BC LTBIA will result in a uniquely crafted log & timber home. After all, our projects are almost all on referral from delighted customers! Professionals in all technical fields understand that belonging to an industry association provides numerous professional benefits. Current methods and technologies are presented through workshops, seminars, conferences and newsletters, allowing us to support effective codes and industry practices. The BC LTBIA sponsors building practice testing for energy efficiency, air/water infiltration, durability, fire safety, seismic stability, and structural load requirements. We are always striving for improvement. The association provides draft health and safety manuals, as well as assembly manuals in support of maintaining business practices. If you’re looking for a skilled builder who has access to the finest BC timber, select a builder from the BC LTBIA. To learn more, visit our builders section.